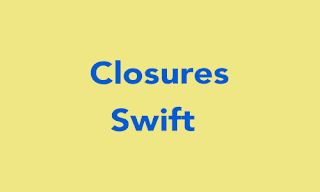 Home Closures function iOS iOSProgramming Swift How Can I Declare a Closure in Swift? Closures is one type of Self-Contained blocks functionality in which passed value and use that in you code. In objective-c known as Blocks that similar Closures in Swift. 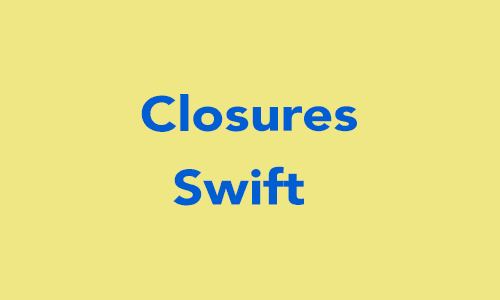 This tutorial provide the declaration of the Closures and how can use the Closure in swift. Declare Closure as Constant : You can declare constant using Closure. calling the closure and get the value of constant. Declare Closure as Variable : Passing the string value as closure parameter and get the string value. it means you can get variant value from closure. calling the closure to pass string like "Kirit Modi" and get the variable value also same as passing value. Define closure syntax type with typealias. Declare function with use of closure syntax. calling the closure and get its value inside the function. Here you can get value of A and B inside the block. Declare Closure function with Return type : Define a function name personalDetails with Closure type (( String , String) -> String). and return another function inside the Closure that return the value of String. See and understand the full code. Calling the above function to make one object of personalDetails.